An 18kt yellow gold and diamond cuff. 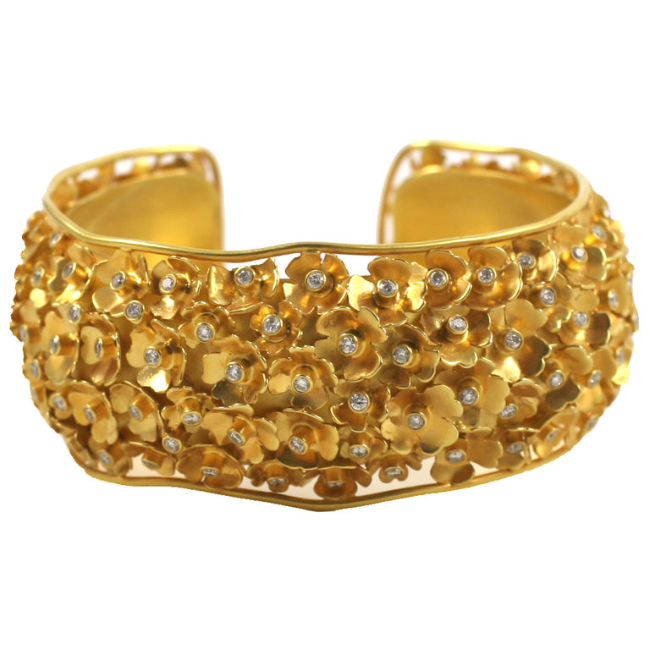 The cuff is composed of clusters of tiny 18kt yellow gold flowers with bezel set diamonds in each center. Approximate diamond weight is 4.25 cts.